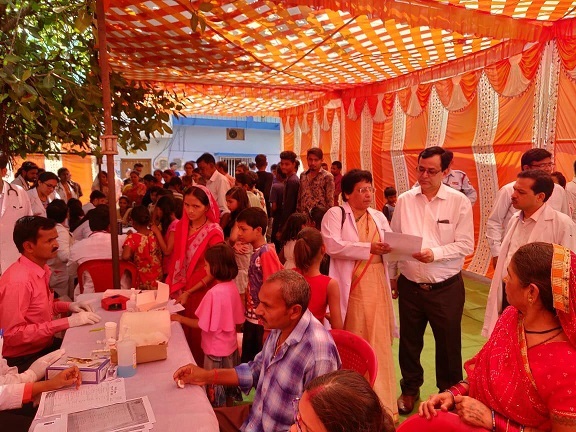 On 7th April, the World Health Day, a free Health Camp was organised by the Department of Community and Family Medicine (CFM), All India Institute of Medical Sciences, Raipur at Goura Chowk, Laxman Nagar, Raipur. Keeping the Theme of this year ‘Universal Health Coverage: Everyone, Everywhere’, the camp was organised in the community (everywhere) and targeting the population of every age-group (everyone). Resident doctors of CFM department along with 2014 MBBS Batch interns posted in CFM provided their services from 9 am to 2 pm. Main focus was given to haemoglobin testing, blood glucose testing, blood pressure measurement, diet counselling along with diet chart. 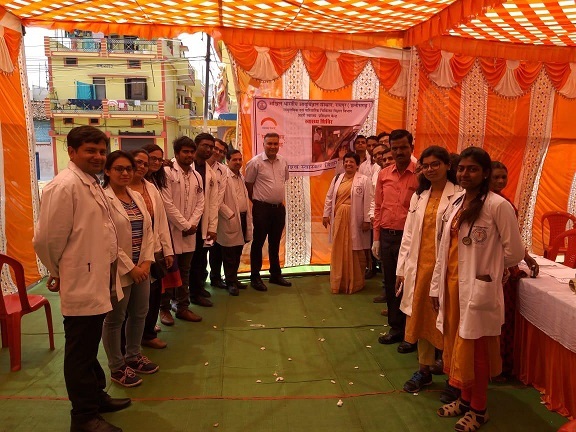 The patients were referred to Urban Health Training Centre of AIIMS Raipur located at Community Hall, Bhavani Nagar, Raipur; for further management and treatment. 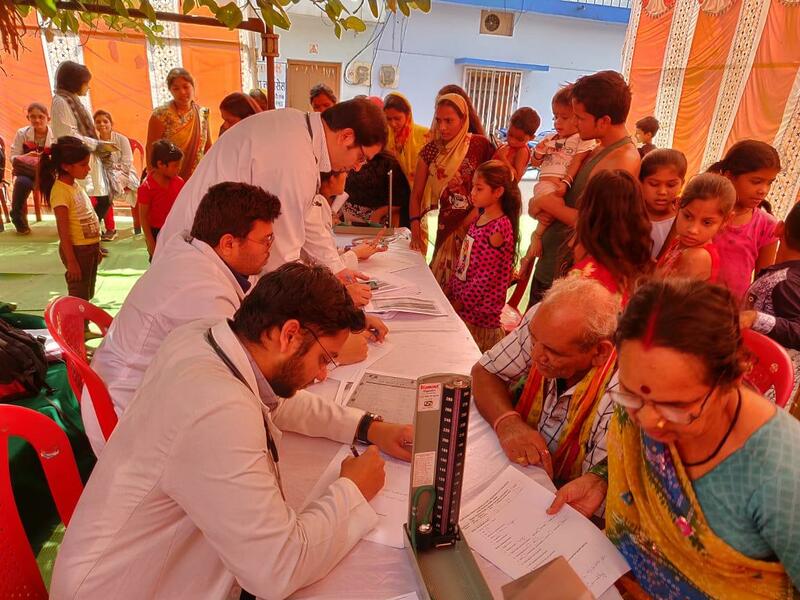 Nearly 200 people from the community were benefited due to this Health Camp. The Director, AIIMS Raipur Prof. Dr Nitin M. Nagarkar and Deputy Director Administration Mr Neeresh Sharma graced the occasion with their presence. The Head of the Department of CFM, Prof. Dr Manisha Ruikar and her entire team took efforts to make this camp a success. Dr Ruikar informed that AIIMS Raipur has adopted ward no. 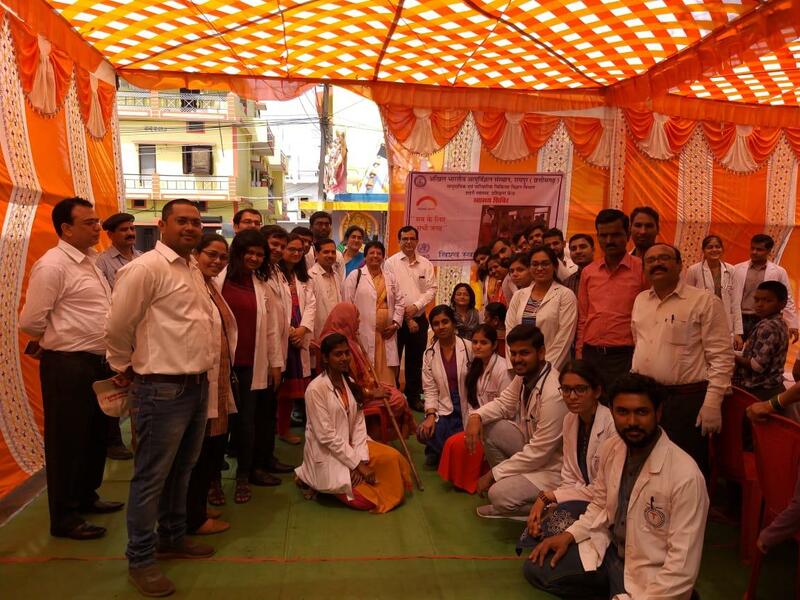 18 and 19 of Raipur city and has established Urban Health Training Centre at Community Hall, Bhavani Nagar, Raipur to provide free health services to residents of these two wards. She also appealed to these residents to maximally utilise the health services provided to them by AIIMS Raipur.